By FFWPU USA: On Saturday, November 21, 2015, Demian Dunkley, the director of evangelism at FFWPU USA, was the special guest lecturer at a seminar in Toronto, Canada, about achieving success in Tribal Messiahship. Dr. 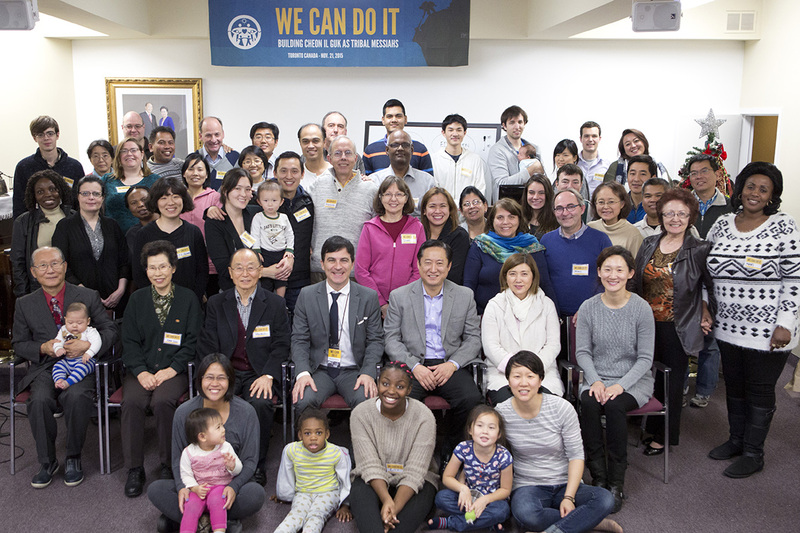 Moon Shik Kim, the president of FFWPU-Canada, and Toronto Family Church Assistant Pastor Yeunhee Chang invited Demian to facilitate “We Can Do It,” which was presented as the first in a series of Tribal Messiahship seminars. The one-day seminar, which went from 8 a.m. to 8 p.m., was loosely based on the Global Top Gun Workshop and the Leaders Conference in Las Vegas, and was focused on empowering families to see how Tribal Messiahship is actually possible by having a clear vision, setting inspiring, measurable goals and working in unity with each other and local leadership. Demian expressed, “After returning from the Global Top Gun Workshop, where we had such intimate and clear encouragement from True Mother, I had one thing on my mind: bring the best of what we have to offer to the local community to help facilitate a cultural shift toward Tribal Messiahship, for real. To maximize productivity during the seminar, participants were asked to prepare ahead of time by reflecting on some key questions, previewing some of the resources found on familyfed.org/tribe and by completing a short community assessment survey. The morning sessions were dedicated to remembering personal testimonies and passions, their first experiences with True Parents and the Divine Principle, to return to the reasons why they joined this movement in the first place. Some participants felt that they were being asked about their true passions for the first time. Esther Kintadi said, “I was especially moved at the beginning, when Demian asked us to give our testimony about our early lives of faith. We were organized in groups for discussion. I shared about how I joined the movement, how I met my spiritual father. My mother had just passed away, and my spiritual father came to me. He was a stranger and he looked at me, and he said that my mother told him to come and speak to me. I was shocked, especially when he described her physically to me. I was so moved. “But the point is, by sharing my story, it reminded me that God worked in order for me to meet the movement. And there are definitely many people out there who God has prepared to share my story with them. For me personally, I feel guilty, because whenever I tell my story, the person who listens always says, ‘Oh, my God, you went through so much, and you’re still here.’ So why can’t I do the same thing, but with follow-through? After lunch, there was a question and answer session that clarified the mission statement and the international standards for Tribal Messiahship. By having a clear mission statement, Demian said, the pastor and the tribal messiah can work together based on mutual trust that they are going in the same direction. Then the participants were given a tour of the resources available to them on familyfed.org/tribe and dplife.info. 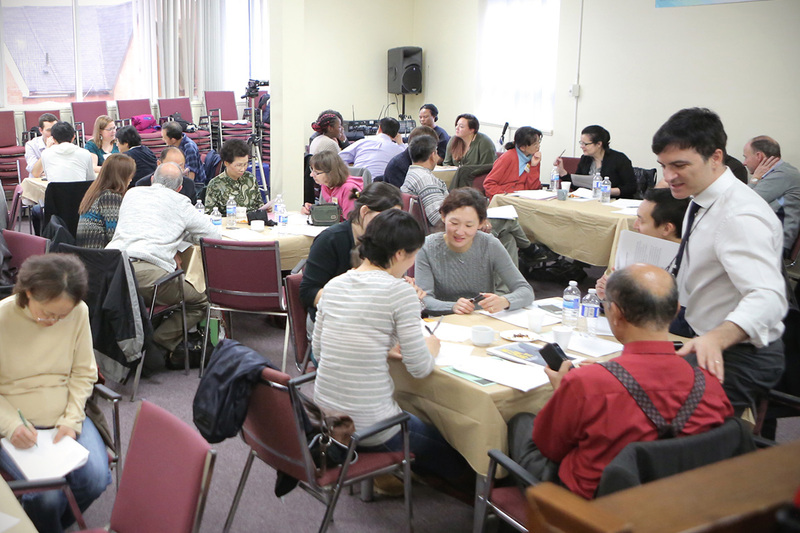 William Chang, a Unificationist-born young adult from Toronto, said that he is inspired to hear practical steps with which to proceed with Tribal Messiahship. “It’s about ownership and accountability on everyone, all the way across the board. That’s the way it should be; that’s the way you actually get results. The seminar then moved to personal goal-setting. The participants were tasked to envision what their family, tribe and community would look like in the year 2020, and then set measurable goals for the next three months, one month and one week. They were assigned groups with whom to share their goals, and committed to meeting weekly for the next three months to talk about their progress and continue setting goals. One person from each group will collect what was shared and pass it along to Dr. Moon Shik Kim, so that their community leader is informed of all the tribal messiahs’ victories and struggles. The We Can Do It seminar is not at all about telling people what to do or how to do it. It’s about drawing out the picture that God is already painting for the community. It comes from the brothers and sisters. Or better yet, it comes from the unity of the community, and that is the real challenge. Mitch Dixon noted that the seminar built on itself. It started with a very calm atmosphere, with a lot of reflection and discussion, and then build up to making concrete plans. “The goal-setting session was actually quite challenging,” he noted. “We had to actually think about what we were going to do. Demian would never take the answers that we were saying to be clear enough. He was always saying, ‘You have to quantify, you have to make it real, make it exact as well as inspiring.’ And it really brought me into a deeper thought about what we were actually going to do. 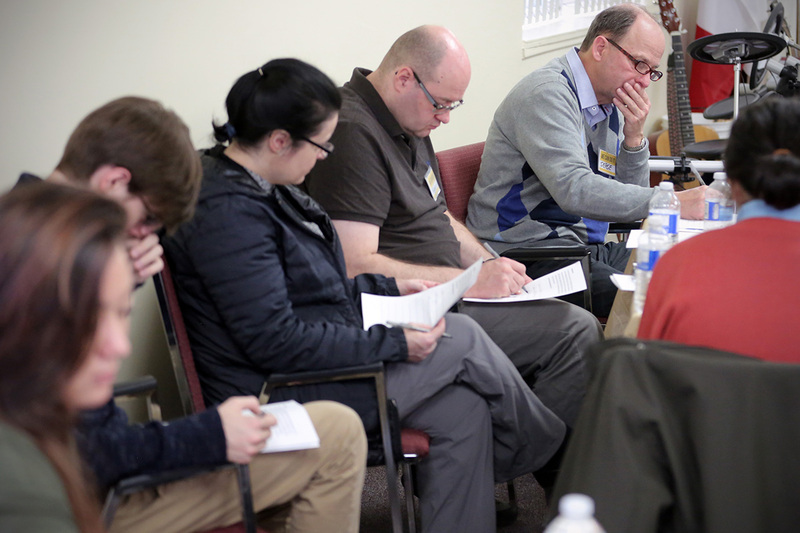 “I thought that the whole group, the whole church felt mobilized. It felt like we were actually going to do something, besides come to church and go home. We’re actually going to put this into first or second or third gear, and go forward to make some impact on our society. The following day, seminar participants were invited to share their testimonies and goals publicly during Sunday Service. Demian’s hope was that the group could begin to infuse their Sunday Service experience with more Tribal Messiahship testimonies. “True Father asked us years ago to develop our Sunday messages around testimonies,” said Demian. “I can’t ignore that anymore. I do not see evangelism as just activity witnessing. Can you separate evangelism from who we are? It will be totally ineffective. I will say this: our movement will grow as fast as our tribes. Our tribes will grow as fast as our families. Our families will grow as fast as our couple, and my couple will grow no faster than me. Therefore our National Ministry Team wants to support whatever is needed for our brothers and sisters, leaders and members alike, to be truly successful. “With all of that in mind, how can we possibly find time to point fingers, complain to others, or get lost in complicated theological arguments? How can we possibly find the time to do anything other than work together?